My bandleader Pluim has had some time to look into new tunes for our performance in November at the Celtic weekend. This is my first wals in 6/8 (for people that are not into music theory that much, a regular wals is typically in 3/4). It was difficult not to get into my natural jig/circle rhythm on a 6/8 but it did work out in the end. 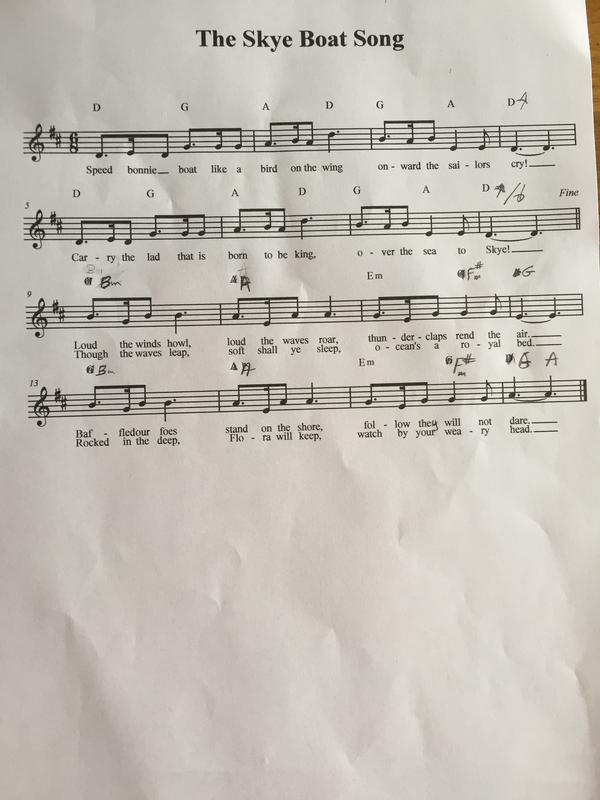 While my wife was playing the melody on the piano I went looking for some more interesting chords to play with this song, especially the B part needed some more punch. So I came up with a new chord schema for that. It was there that I felt a tension I did not feel in a long time (no, it was not my old jedi master who was close). I wanted to play an Em chord at the end of the first sentence of the B part, because the note in the melody is indeed an E. But it felt completely wrong. It took me a while to figure it out (thank you Annelies for getting my thought process going). The Em chord does not resolve while playing in D major scale. It felt totally wrong. So I changed it and stay on the G chord for the entire bar. At the end of the B part, I resolve it by going to an A chord and finishing the B section.